← Weird, cool, awesome, and sad, too! With twelve pounds of the most delicious honey from our bees and the help of J’s son, we dove into our first mead making project. We tasted home brewed mead a few years back and have been wanting for it ever since! 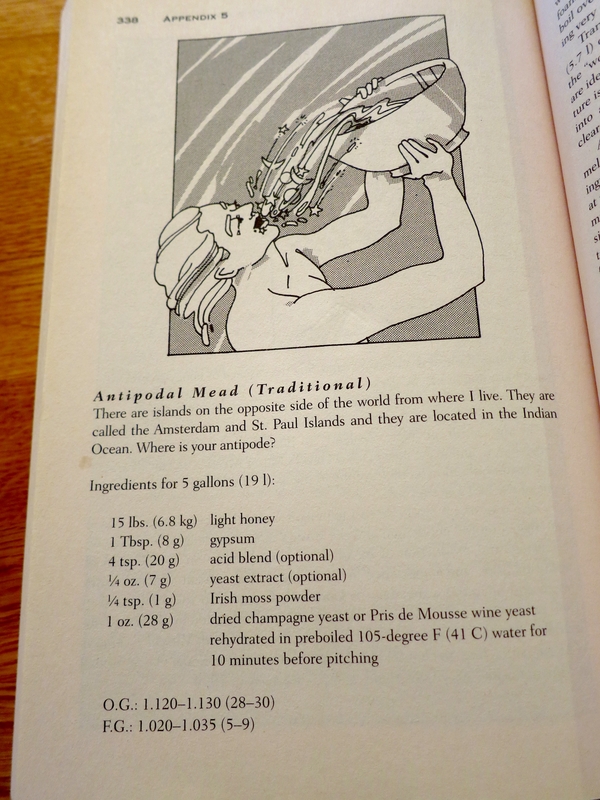 We used The Complete Joy of Homebrewing by Charlie Papazian as our reference manual. 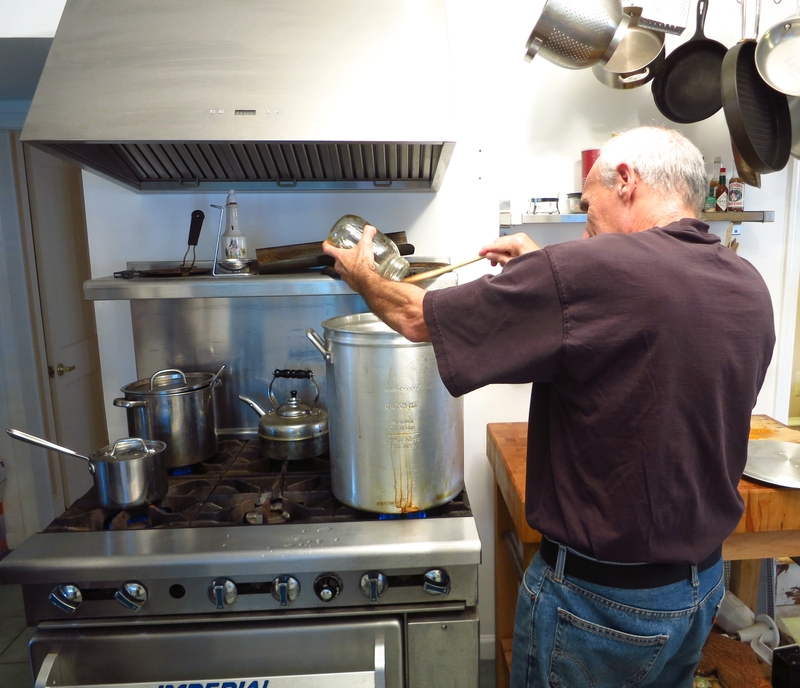 J’s son was, also, able to glean some helpful hints from Home Sweet Homebrew in Philadelphia. 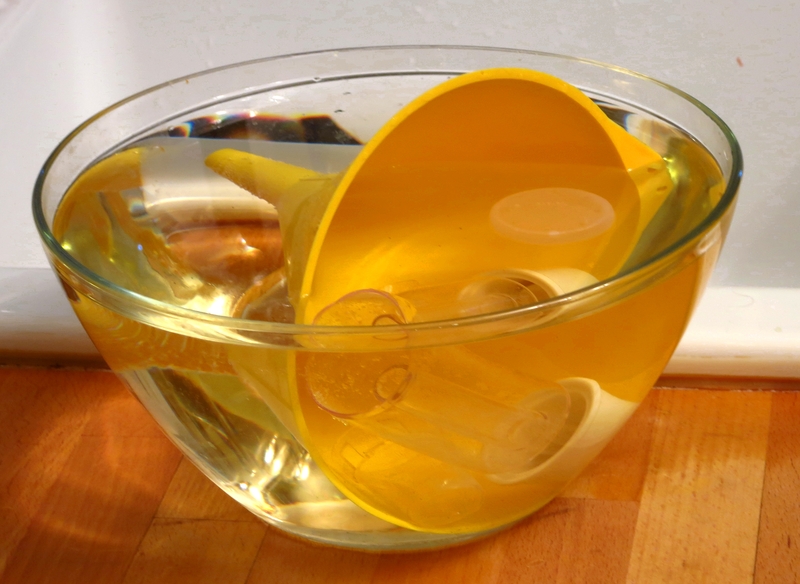 Anything that is going to touch the mead needs to be sanitized or put into boiling water: the carboy, the funnel, and the utensils. 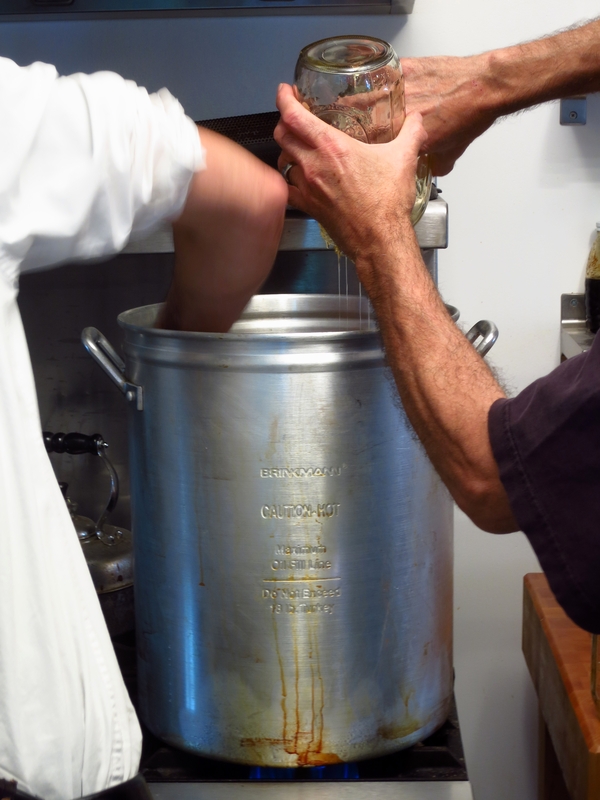 We rinsed the items with spring water after the Iodophor soak and before use. 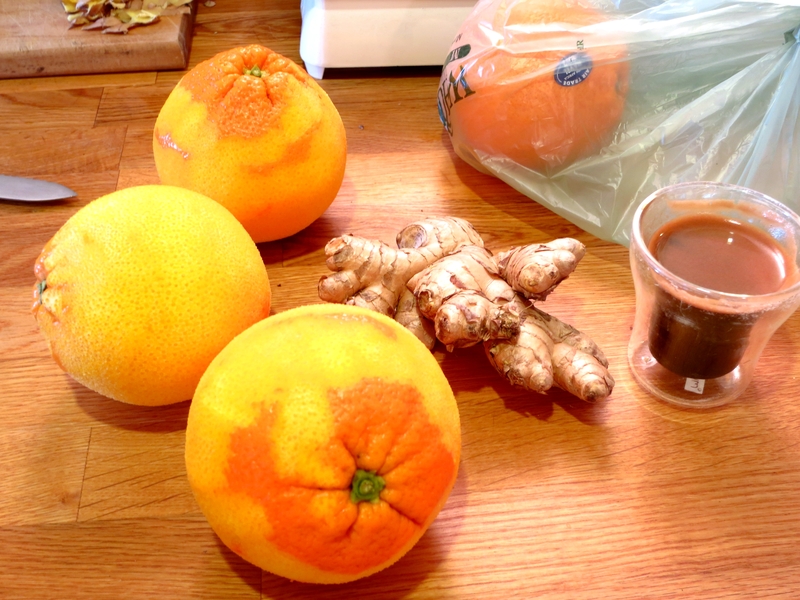 Lastly, we used the zest and juice of four oranges and two ounces of chopped ginger for flavor. No. The espresso did not go into the mead. This time. 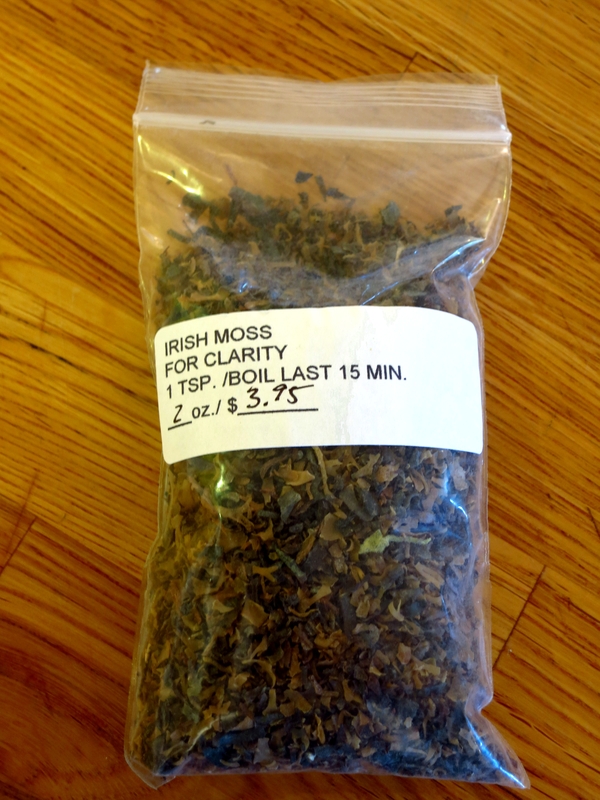 We added the honey to about a gallon and a half of water with a bit of the Irish moss and the ginger. We boiled the mix for 15 minutes. 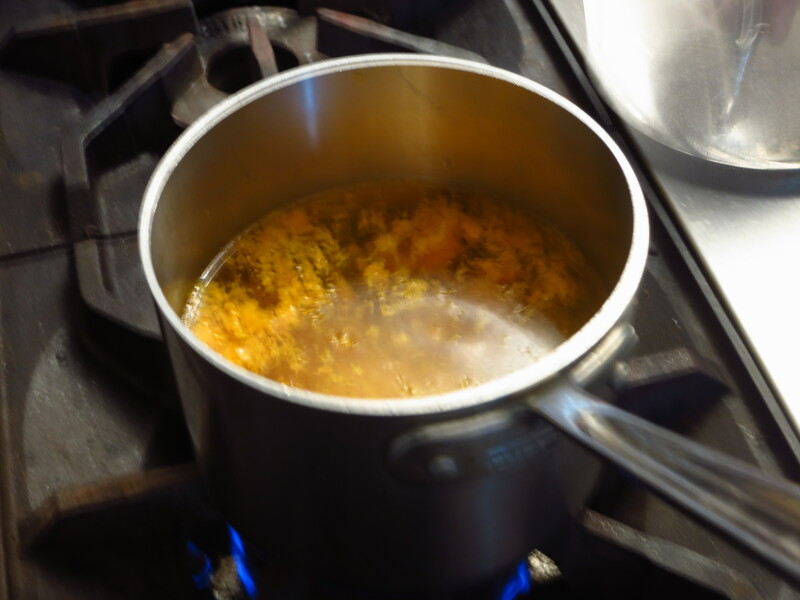 We added the zest and orange juice to water on the side, brought it to a boil (for disinfection); and, then, let it simmer for a while before adding it to the mix. As we transferred the liquid into the carboy, we filtered the pulp from the mix using a sieve (not shown). 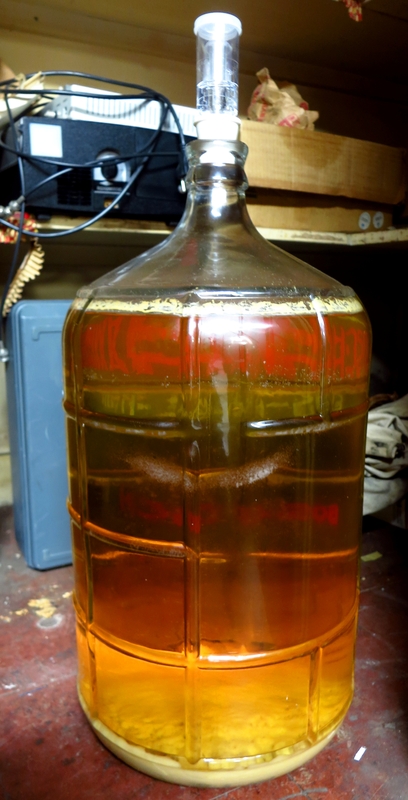 Then, we added more spring water to almost fill the carboy. We needed to leave a little room at the top for the yeast mixture which would be added once the mead mixture cooled down. 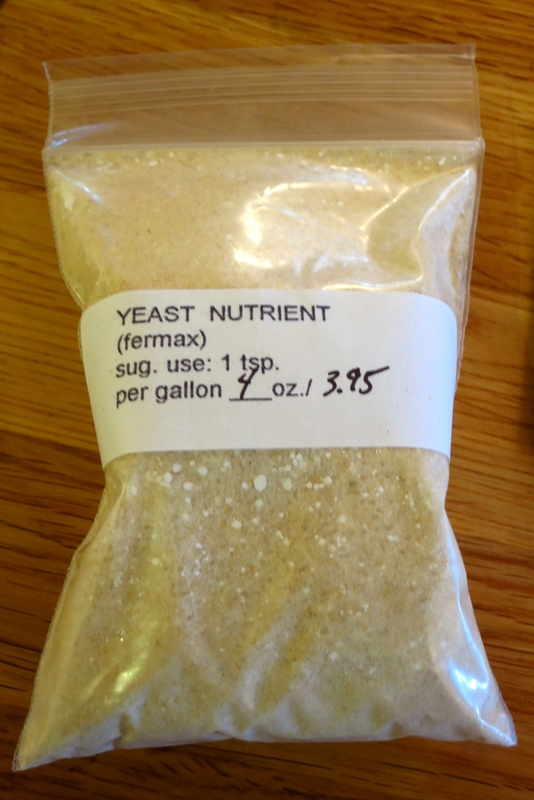 The yeast needed to be rehydrated in warm water (preboiled, cooled to 105 degrees F to be exact). 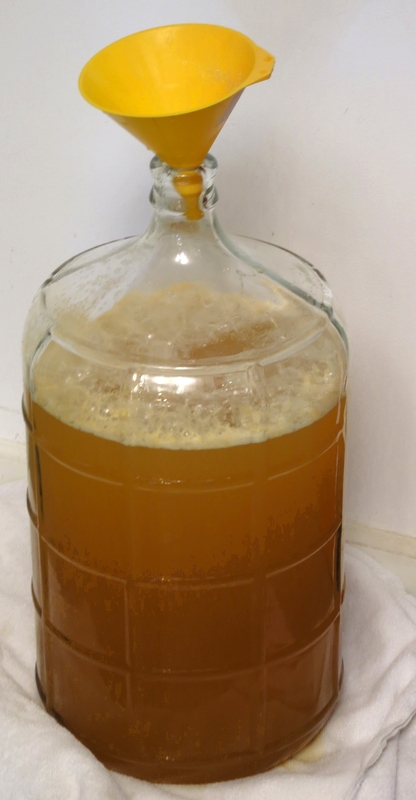 We added the rehydrated yeast to the cooled liquid in the carboy. Then, we topped it off with the airlock. Down to the basement, into the closet…about 6 months to bottling and then another 6+ for aging. Sigh. UPDATE: About three weeks later, it cleared dramatically. 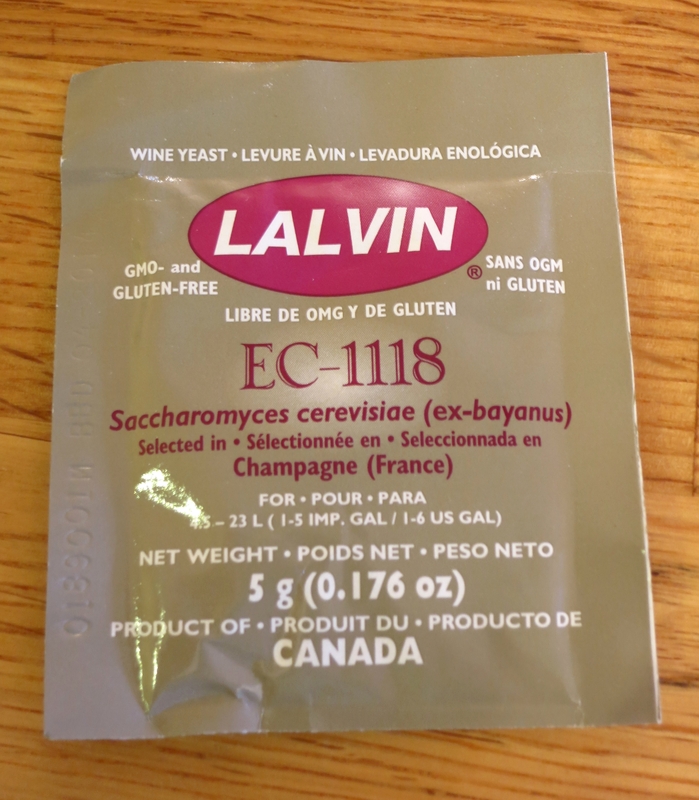 This entry was posted in Bees, Food, Uncategorized and tagged Homebrewing, Mead. Bookmark the permalink.